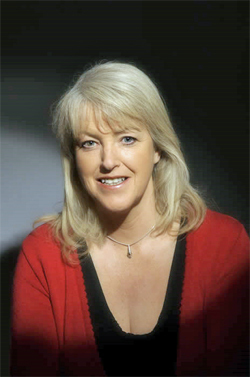 Lesley Riddoch is one of Scotland’s best known commentators and broadcasters. She has held many influential positions including assistant editor of The Scotsman and contributing editor of the Sunday Herald. She is perhaps best known for her broadcasting with programmes on Radio 4, BBC Radio 2 and BBC Radio Scotland, for which she has won two Sony speech broadcaster awards. Lesley runs her own independent radio and podcast company, Feisty Ltd, which has produced several series including a weekly topical phone-in programme for BBC Radio Scotland. She is a weekly columnist for The Scotsman and the Sunday Post and a regular contributor to The Guardian’s Comment is Free.